We are happy to come up with a new functionality in our iPad POS Register app. Now you can hide/unhide tabs as well as rearrange them on POS screen according to your requirements. We have made this quite easy for you to achieve through just a few clicks. 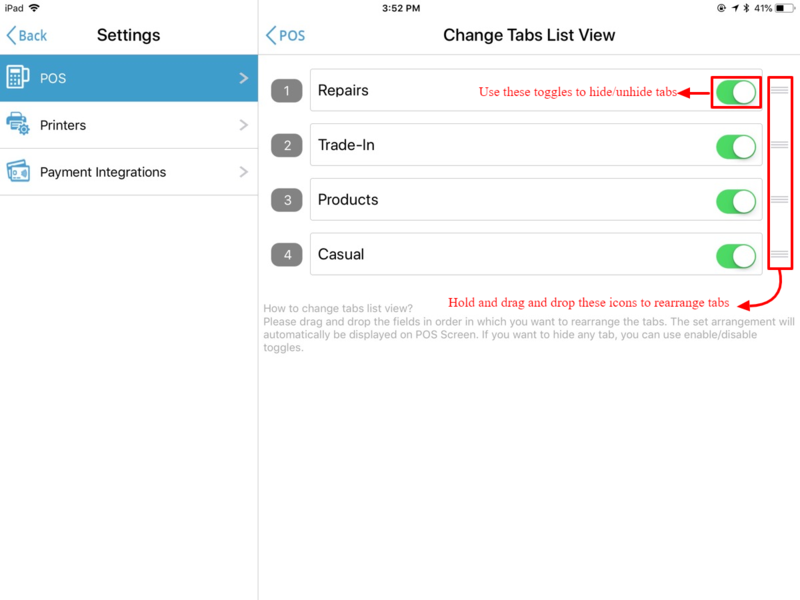 Let's go through this process to know how to change tabs list view on iPad. 1. Head to Settings from left side menu. 2. You will be directed to settings screen from where you have to select POS and hit Change Tabs List View option. 3. You will get the screen with tabs displayed that you can rearrange through drag and drop functionality. Note: Toggles can be used to enable/disable the tabs. 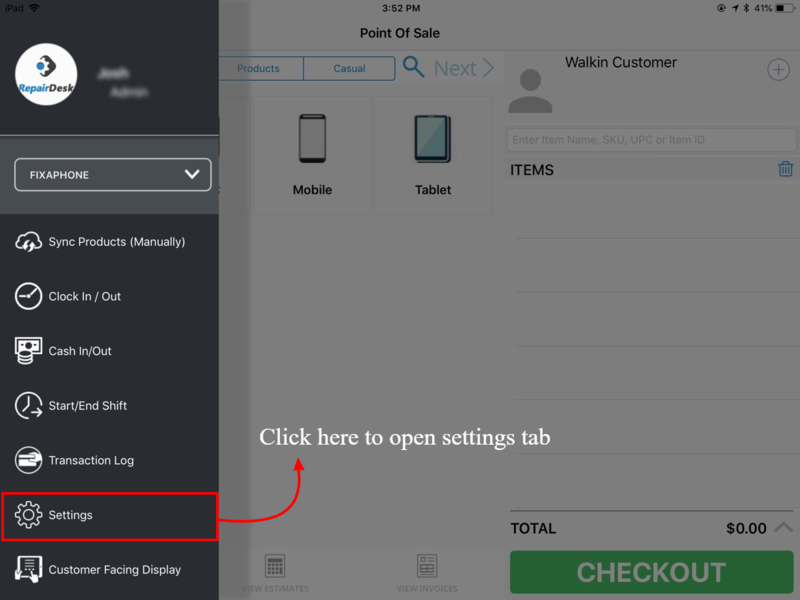 The order set from this screen will automatically be displayed on POS and only those tabs will be shown which are enabled from this screen. In case if you have disabled any tab, it will not be shown up on POS. Q. Which tab will be displayed if I disable all tabs from settings? A. If you have disabled all tabs from settings then by default it will display only the repairs tab on POS Screen.